Grieg Star acquired a new semi open hatch vessel on the 25th of September. Her name is Star Majesty. Star Majesty was formerly known as Samos Majesty. She is a sister of the Star Minerva, and thus a vessel type we know well and appreciate as efficient and reliable. – We are really happy we have been able to conclude this deal. Grieg Star is committed to this business, and securing quality tonnage for the future is important for us, says CEO Camilla Grieg. 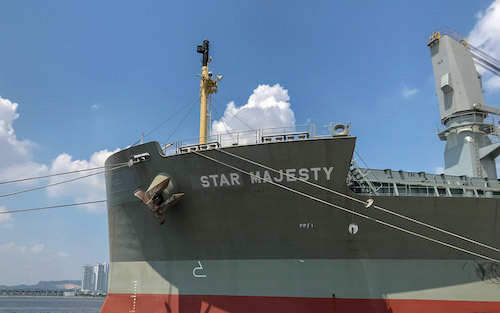 Star Majesty has entered into the G2 Ocean pool as of the 30th of September. 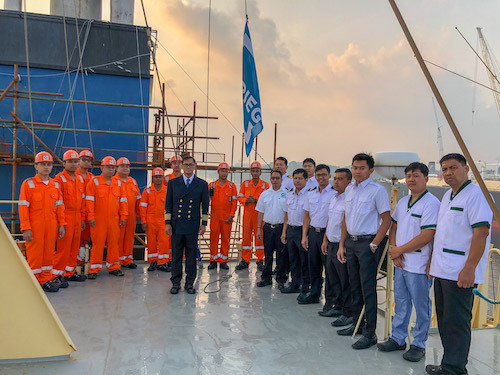 The first crew of STAR MAJESTY, headed by Captain Jimmy Glema Sanchez, as we hoisted the Norwegian flag for the first time.